Valentine’s Day will be here before you know it. 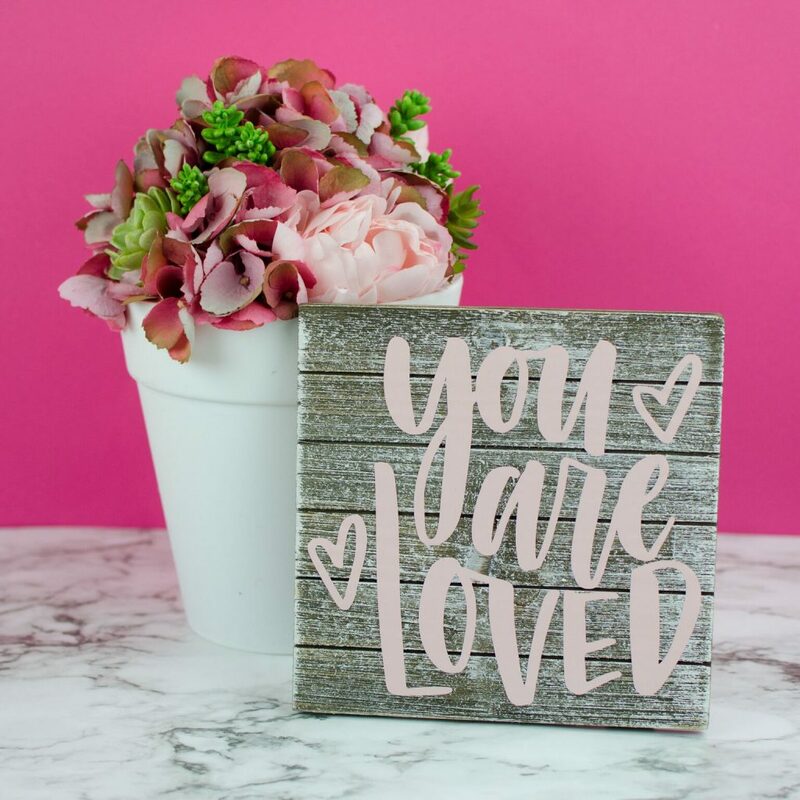 I love Valentine’s Day because I have an excuse to make great DIY gifts for my loved ones. 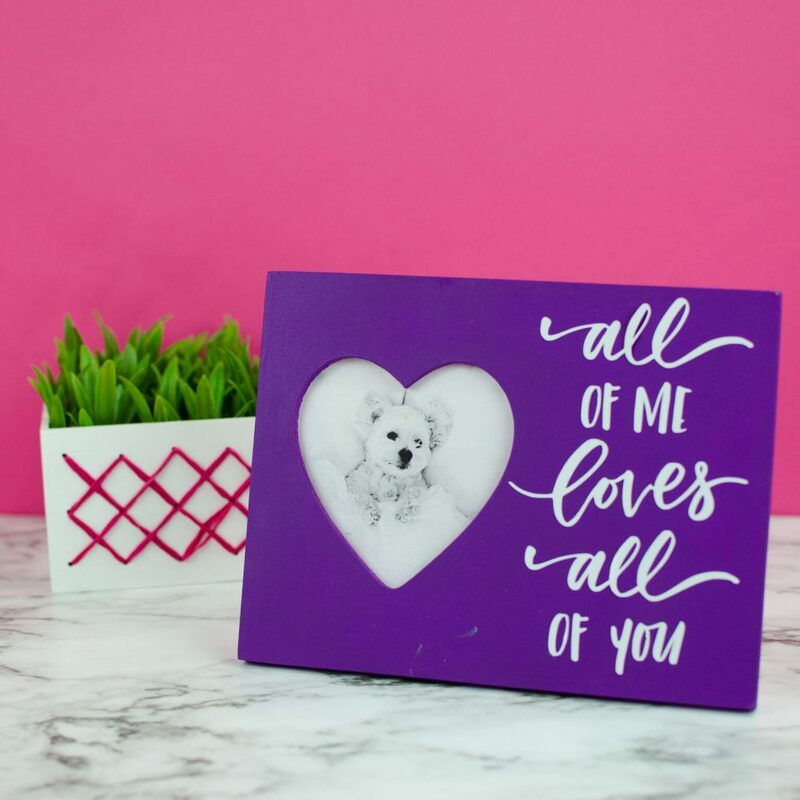 You don’t have to be a master crafter to make these fun DIY Valentine’s Day Gifts With Your Cricut. Your friends and family are sure to enjoy them. We used fun cut files from our membership website Makers Gonna Learn on all of the projects today. It’s the ultimate crafting membership especially for people with Cricuts! I hope you enjoy seeing all the different and unique ways you can make Valentine’s gifts today. We’ve got four to show you. This is definitely the cheapest gift idea we have in this post. Who doesn’t have an empty glass soda bottle laying around? Most of you are probably thinking we painted the outside of this bottle white but you’d be wrong. We poured white paint into the bottle and guided it around until it was fully covered. Then we turned the bottle over and let it drip and dry. After that, we just took our handy Cricut and cut our vinyl design out, weeded it, and applied it to the bottle with transfer tape- SO easy! I think it turned out great and to top it off we added some beautiful silk flowers. You can’t go wrong with a simple DIY like this. I know I talk all the time about how much I love plain wooden pallets and about how much they inspire me. This project is no different. We took an unfinished pallet and painted and distressed it. Not only that but we also broke out our Premium Outdoor Vinyl and added this great design onto the pallet canvas we made. You can use iron-on on wood, but the wood has to be perfectly flat and this wasn’t. So we opted for the stronger more durable Premium Outdoor Vinyl for this project. I love the way it looks and how simple it is. It looks great in my home displayed for Valentine’s Day! This fun project is also simple but the big advantage here is that you have lots of room to personalize it. We bought this wooden frame at the craft store and decided to paint it purple. Lucky for us this wood was actually very flat, so we were able to break out the EasyPress and use classic white iron-on for this project. We chose one of the many great Valentine’s Day files from Makers Gonna Learn. After we adhered it and removed the transfer paper, we just added a photo of our furry friend and called it a day. You can choose your own color of frame, color of iron-on, and what photo you use. We loved making this project and I’m sure you will too. 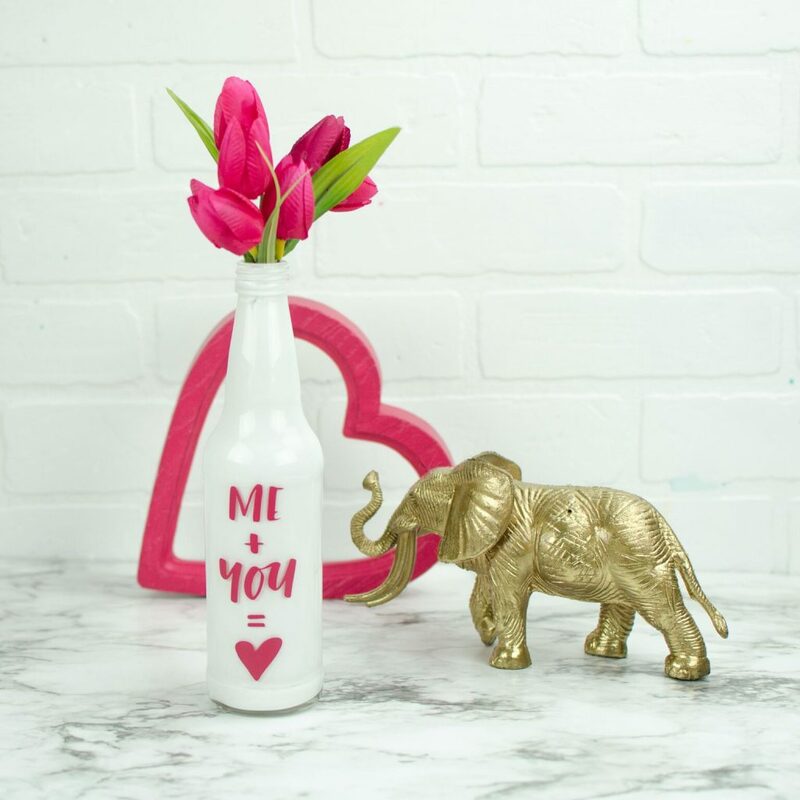 I hope you got inspired to make some great DIY Valentine’s Day Gifts this year. You don’t have to break the bank on gifts. Plus, making your own is so much more fun. Don’t forget to check out our membership website. We have over 150 cut files for every occasion in your life.